I don’t blame the statue. Birds are jerks. Human (the flesh kind, not the sculpted kind) can outjerk any animal any day, without half trying. Without trying at all. Without thinking about it. Pigeons are mindless street shitters when they’re not sitting on the edges of buildings. 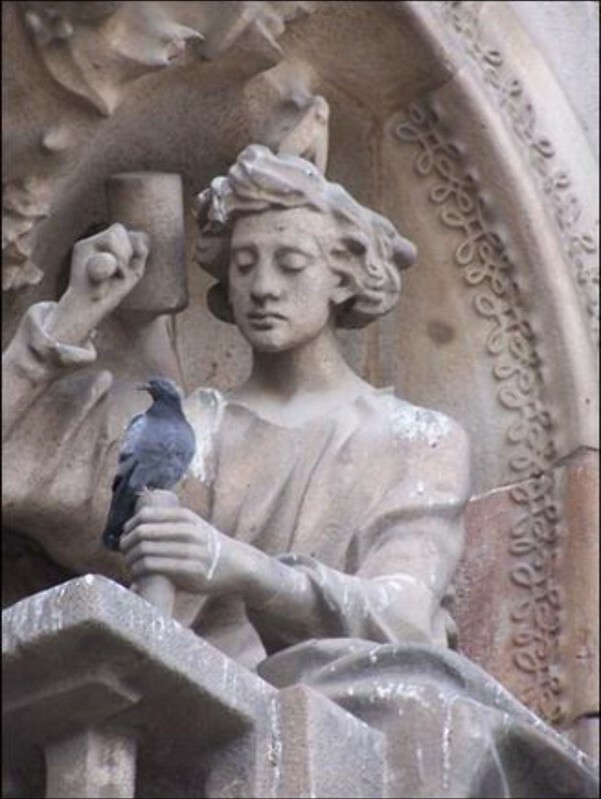 (Pigeons are feral descendants of rock doves, cliff-dwelling species of large doves, hence the building edge hugging and direct diving habit of city pigeons.) BTW, I’m guessing this is from a church in France (have no idea really).